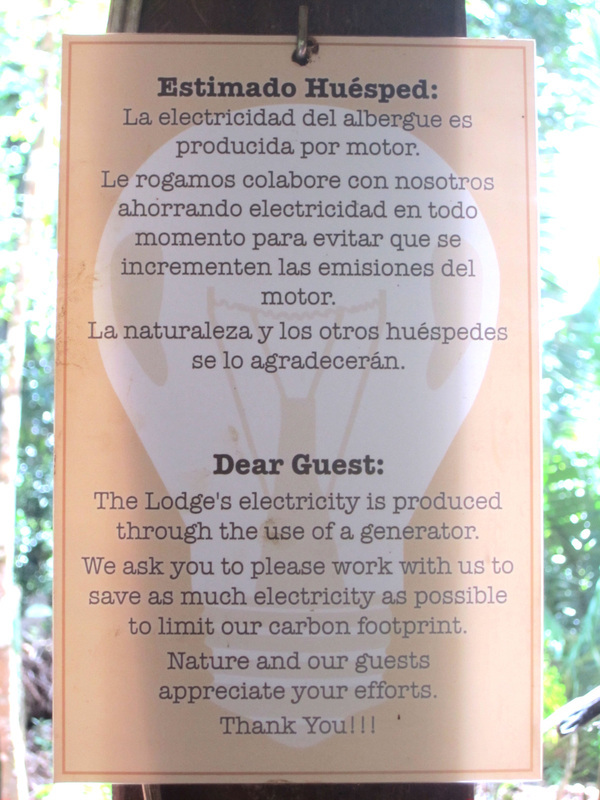 At the EcoCamp, we limit our carbon footprint by being energy conscious. We run our generator for a maximum of 2 hours per day, providing us just enough energy to prepare meals and light the dining area. At nightfall, we use candlelight to supplement energy-efficient bulbs in the dining room and ask our guests to bring flashlights for safety on the main footpaths, cabanas, and bathrooms. We do not currently offer hot showers.